on home loans range from 8.70 per cent to 9 per cent for loans up to 30 lakh, and 8.90 per cent to 9.20 per cent for loans above 30 lakh and up to 75 lakh. However, if you think you are paying high interest and EMI (Equal Monthly Installments) to your current bank, you can consider transferring your home loan to another bank. 3. Credit rating also matters while opting for a loan transfer. Loan transfers are like taking a loan to pay off an existing loan. Hence, if your credit rate has fallen between the time you first took the initial loan and now, it could affect your chances of being qualified to get a loan transfer. 4. One should not switch one’s home loan if they are closer to the end of their tenure. You should also not plan to transfer your home loan if you are planning to sell the house in the near future. 5. One should weigh in additional charges like a penalty, or any foreclosure charges and then calculate if the expense of transfer is worth it. Some banks also charge prepayment or foreclosure fee. Hence check that with your bank before opting for a transfer. 6. Additionally, banks also charge processing fees while getting a loan transferred, which you may have to pay to your new bank. Generally, this amount is one percent of the outstanding loan amount. 7. 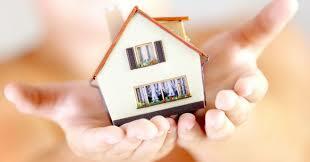 The process of transferring a home loan generally takes around 15 to 20 days. However, the waiting period should be shorter if you are moving from base rate to MCLR within the same bank.